A new concrete walkway or sidewalk can improve the usability and value of your property. 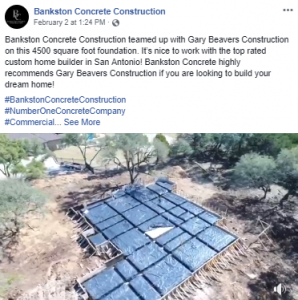 At Bankston Concrete Construction, we are concrete experts that can design and build the perfect sidewalk or walkway for your property. We offer a wide variety of concrete walkways and sidewalks to meet your needs. 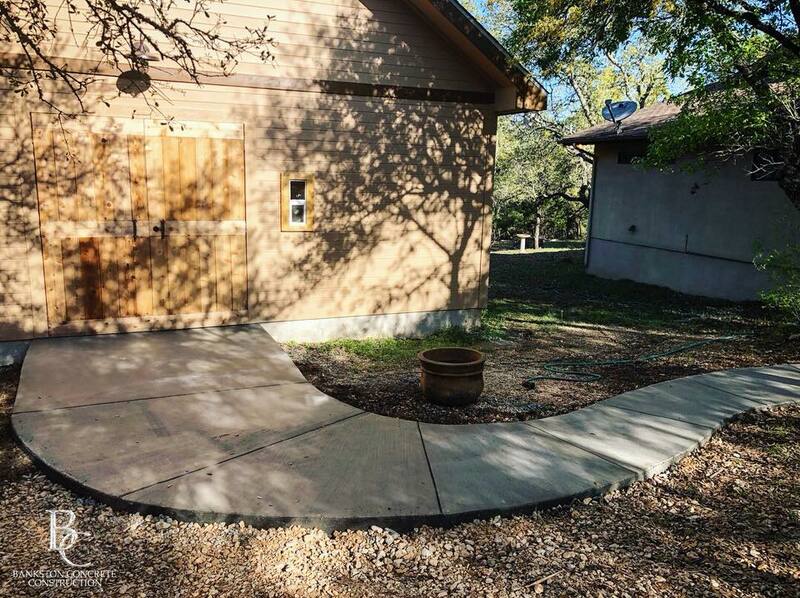 Whether you need a small path on your property, a new concrete sidewalk or a larger walkway to connect different buildings, we have you covered. We also offer concrete staining & stamping options to customize the look and feel of your sidewalk or walkway. Complete the online estimate form or call today to get a fast and free estimate for the new concrete walkway you’ve been dreaming of! We want you to enjoy your sidewalk for a lifetime. While others use cheap materials to cut costs, we use rebar and high quality concrete in our construction projects. This ensures that you’ll still be enjoying your walkway for years after other lower quality projects have cracked and crumbled. The sky is the limit when it comes to the design and style of your custom concrete walkway or sidewalk. We can customize your walkway to include curved edges, built-in steps, inlaid designs, stones and other features to meet your needs. We also offer a wide variety of custom concrete staining & stamping options to fully customize the look and feel of your new walkway or sidewalk. I want to commend Bankston Concrete Construction on the following: Professionalism - Everyone I met on the project starting with the owner, Zachary , then the Crew Leader Raymond , all of the members of his crew and Zachary's assistant Lindsey were a genuine pleasure to work with, they were prompt, delivered what they agreed to, and were all good ambassadors for the company. Quality - The work Zachary's crew performed was top drawer, everything we had agreed to was executed with attention to detail and the final product was exactly what I expected. 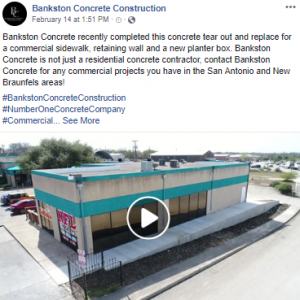 I have had a lot of concrete work done over the years and the work performed by Bankston was far and away the best quality job I have seen yet. Integrity - Everyone did what they said they would do for the price quoted and there were no surprises. To summarize, I was extremely satisfied with my experience, it is always a pleasure to work with a company that is worthy of trust and does quality work. 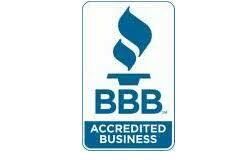 Zachary and folks at Bankston have earned my trust and I will be using them again. Ready For A New Sidewalk Or Walkway?